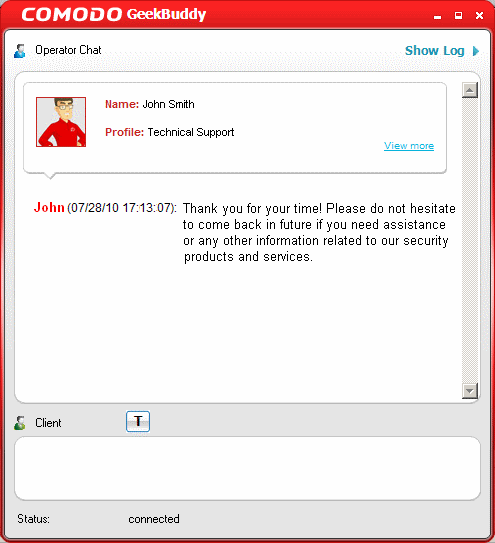 Click the 'Accept' link to enable the technician to connect to your computer. 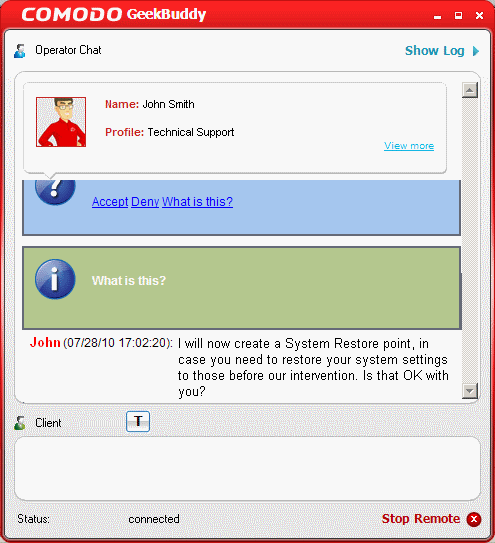 The technician will take control over your computer through remote desktop connection and start fixing your problems or performing the service that you requested. The technician may also ask your permission to make other changes to your machine. Such changes might include installing programs, creating system restore points or deleting unnecessary or malicious files. 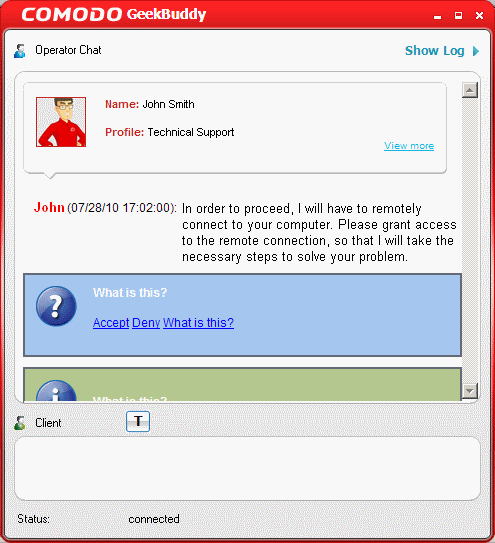 On completion of his/her work, the technician will disconnect from your computer, inform you that the requested tasks have been completed and ask whether you would like help with anything else.